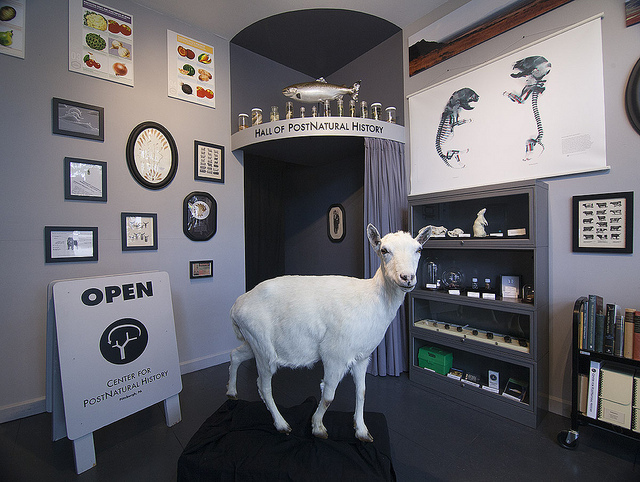 Richard Pell, founder of the Center for PostNatural History, has collaborated with engineer Jamie Schulte to develop the Catalog of PostNatural Organisms, a searchable relational database of living organisms that have been intentionally altered by humans through selective breeding or genetic engineering. A detailed description of the database has already been made and a preliminary web-accessible frontend has been prototyped. The electronic database includes cross-referenced tables that represent species, genes, and laboratories, which allows for the substance of the database to be viewed from a variety of novel perspectives. 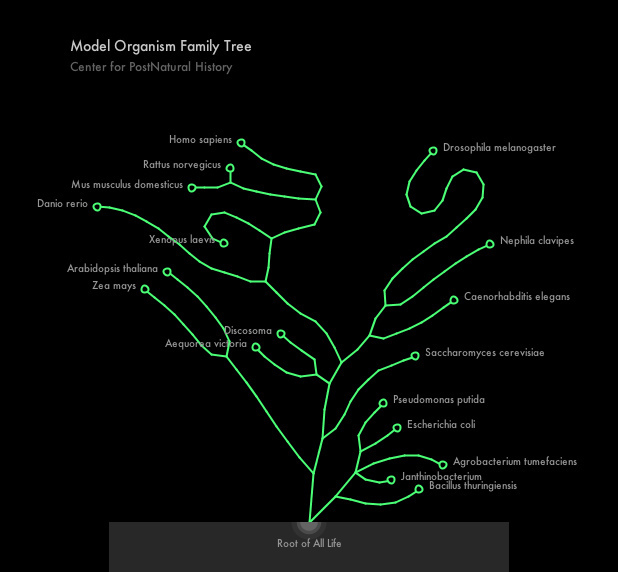 For example, the influence of a single gene can be tracked as it is integrated into new points on the Darwinian evolutionary tree through genetic engineering, or the propagation of a particular food crop may be viewed as a function of geographic distribution over time. Catalog of Post Natural Organisms was supported by a grant from the Frank-Ratchye Fund for Art @ the Frontier (FRFAF)— an endowment founded to encourage the creation of innovative artworks by the faculty, students and staff of Carnegie Mellon University. With this fund, the STUDIO seeks to develop a cache of groundbreaking projects created at CMU — works that can be described as “thinking at the edges” of the intersection of disciplines. Richard Pell is a professor of electronic media art at Carnegie Mellon University.